Elixir provides a list of third-party libraries for Android, several of them are 'must have' libraries that are extremely popular and are often used in almost any Android project. Each has different purposes but all of them make life as a developer much more pleasant. 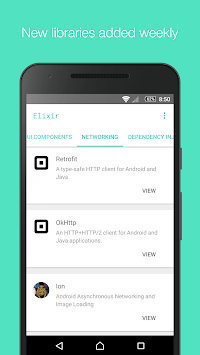 The Elixir app is currently in beta.